The Select tool is used to select strokes in the Stage view, and apply basic transformations such as repositioning, rotating, scaling or skewing, using the different handles of the bounding box. NOTE: The Select tool, when used to scale, offset, or rotate objects, retains your selection when switching layers or panels. In the Stage view, select an object. Select all object in the drawing by pressing [Ctrl]+[A] (Windows) or [⌘]+[A] (Mac OS X ). ‣ To reposition, click the selected drawing object and drag the selection to a new area. ‣ Hold down the [Shift] key and move the selected object to force the bounding box to move in 15 degree increments. 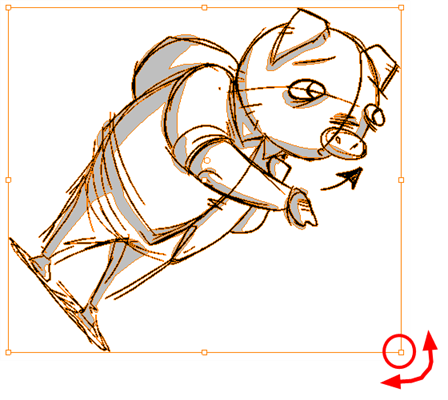 ‣ To rotate the bounding box, rotate the box handle. ‣ To scale, pull or push either on the top, side, bottom or corner control point. Hold down the [Shift] key to lock the selection’s ratio. 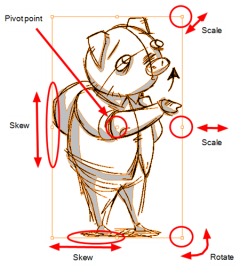 ‣ To skew, drag sideway or up and down the sides or top and bottom segments, between the control points. 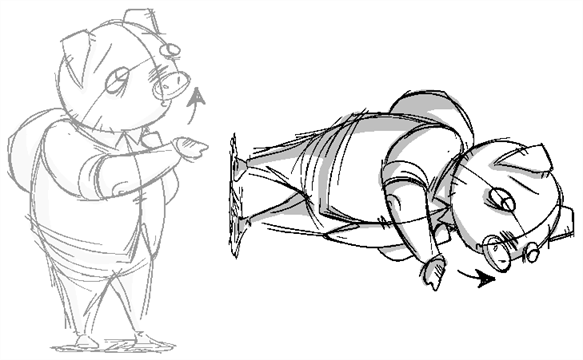 In the Stage view, select the drawing object you want to transform. 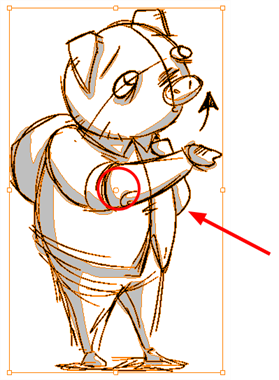 NOTE: To permanently reposition the pivot point on a drawing layer, use the Pivot Tool—see Animating Layers. When you use the Select tool, its properties and options appear in the Tool Properties view. The view changes according to what you select. For example, if you selected text, then the text properties are displayed. Choose between the Lasso and the Marquee, to change the style of the Select tool. 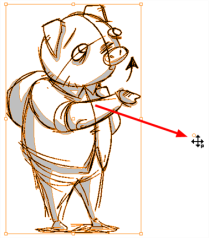 You can enable different snapping modes to help you when repositioning your drawings using the Select tool. 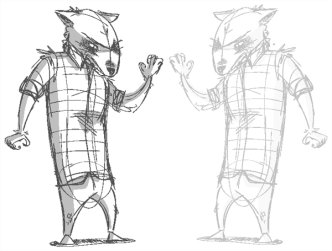 NOTE: Refer to the Reshaping a Drawing Using the Contour Editor Tool topic to learn more about the Snap Options utility. You can rapidly select all drawing parts painted or drawn with the colour you have selected in the Colour view. 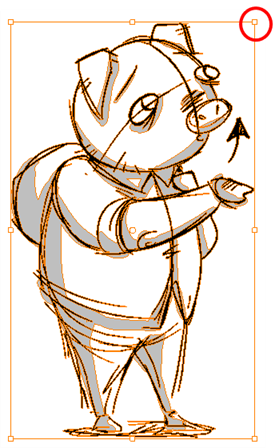 You can select all the drawings in a scene. The Smooth operation is used to smooth out selected drawing strokes and remove extra points. The Flatten operation is used to merge drawing objects and brush strokes into a single layer. 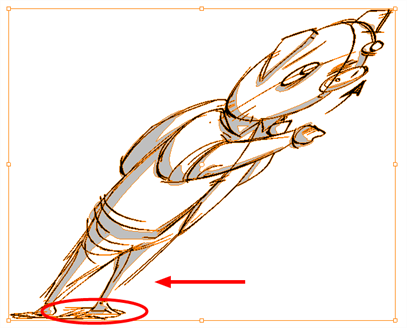 If you draw new lines to fix a drawing or a line with many brush strokes, it can be useful to flatten them all into a single shape. By default, lines are drawn one on top of each other, if you intend repainting the lines or modifying their shape, it will be easier if they are flattened. 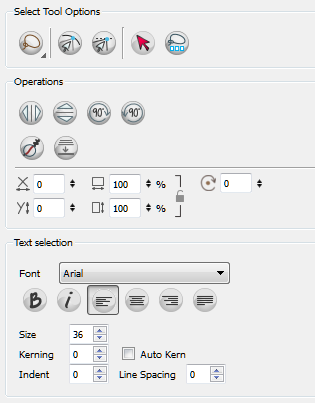 You can also access this option by selecting Tools > Flatten from the top menu or by pressing [Alt]+[Shift]+[F]. 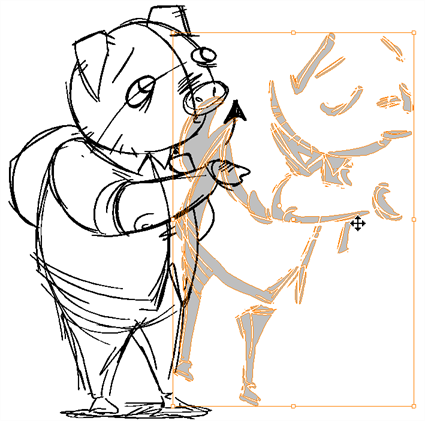 When working with vector layers, use the Pencil Selection field to resize the selected centre line strokes. This operation is not permitted on contour line shapes, such as brush strokes or shape fills. When you select strokes with the Select tool, you can offset, scale, and rotate them by entering absolute values, by using a percentage. When using the percentage parameter, you can lock the X and Y values by clicking the Lock icon. 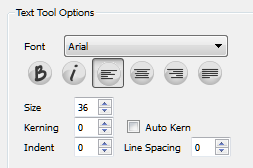 When you select text with the Select tool, the Text tool properties are displayed at the bottom of the view. You can also press [Ctrl]+[Shift]+[T] (Windows) or [⌘] +[Shift]+[T] (Mac OS X).